Less than two weeks after the murder of a Sheriff’s Department employee convinced Maricopa County Sheriff Joe Arapaio to require his deputies to be armed with AR-15s at all times, even when off-duty, the department has taken delivery of 400 Smith & Wesson M&P15 mid-length rifles they’d previously ordered. The mid-length gas-system provides a smoother recoil impulse that the carbine-length system found on many AR-15 rifles, and the press release photo shows that the rifles are also equipped with an Inforce WML weapon-mounted light and the Aimpoint PRO (Patrol Rifle Optic) red-dot sight, 30-round Magpul PMag magazines, and a simple two-point sling. 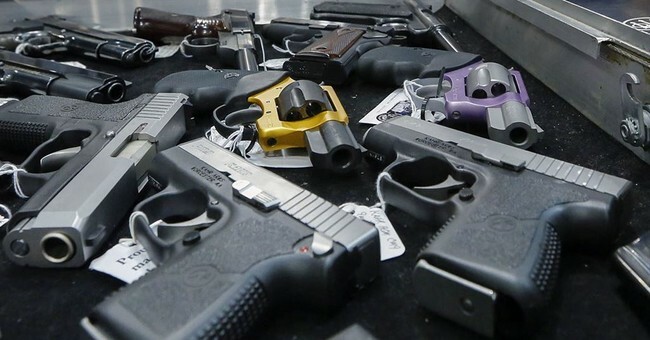 All, in all, it’s a pretty solid set-up for any citizen, and it’s a darn shame that some of the less-free states would deny citizens their right to own identical firearms to protect their families and neighborhoods.